I always wanted to try Korean Fried Chicken. Being a Muslim it is limited chance for me to try this in South Korea itself even though I was there twice. Every time watching my Korean Drama my saliva feel drooling when there is scene of delicious looking Fried Chicken. WTH! I know...I know...what you are thinking...'face palm' right now! In South Korea they ordered fried chicken like the culture to order pizza delivery. So every time watch Korean Drama...fried chicken here and fried chicken there...of course I am being an ordinary human being unable to take the temptation and desire to have a bite of those finger licking good crispy fried chicken. Good excuse huh? Many said...when it comes to frying chicken nobody...and I mean nobody.. nobody...does it better than the Koreans. My apologies to all other people but this is also my opinion. So if you have other opinion...please try the Korean's fried chicken and let me know. We all have our own preference anyway! Quite sometimes ago, I was so happy when Kyochon came to Malaysia. IMA happily convinced Chingu to visit Kyochon first outlet in Malaysia which is at One Utama. That was the first visit and the last because Chingu refused to enter Kyochon again since we were served with rather to a disappointment food. Cold and waiting too long. 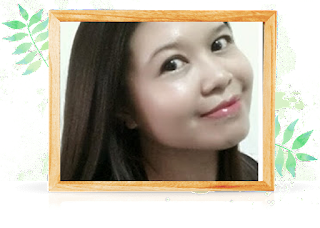 Check my previous review here. I wrote my complaint to Kyochon...eheh...I am so Kaypohchee...huh? I could say they have good customer relation team since they really pay attention to my feedback. 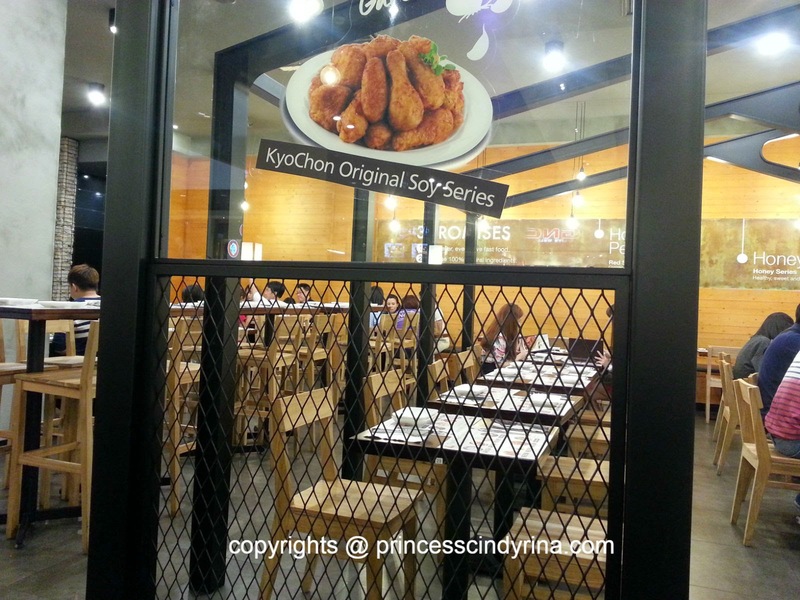 Recently, Kyochon opened another outlet at my favourite hangout place , Pavillion, KL. IMA so happy and guess what???? IMA manage to drag Chingu to this outlet on 1st Jan 2015. ASSSAAAAAA!!!! 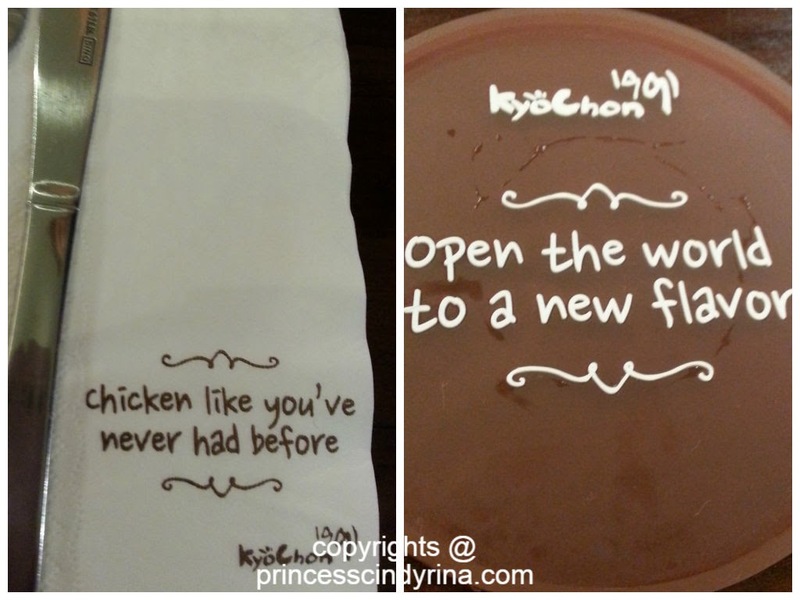 Started my new year with Kyochon fried chicken at Pavillion, KL. How does Kyochon or Korean fried chicken differ from other fried chicken??? Korean fried chicken is cut into smaller portions so that the flavours really works into the chicken meat. 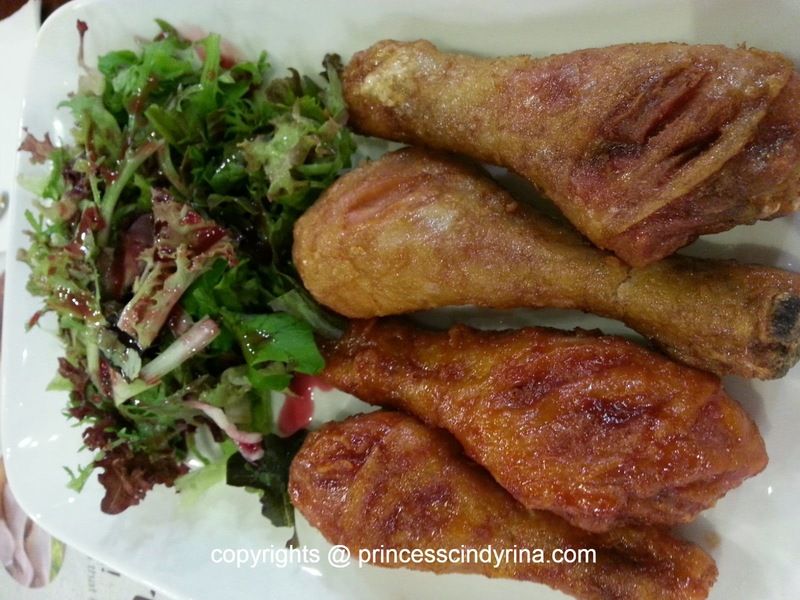 It is also famous with its paper thin and crisp unlike others fried chicken crunchy and thick. 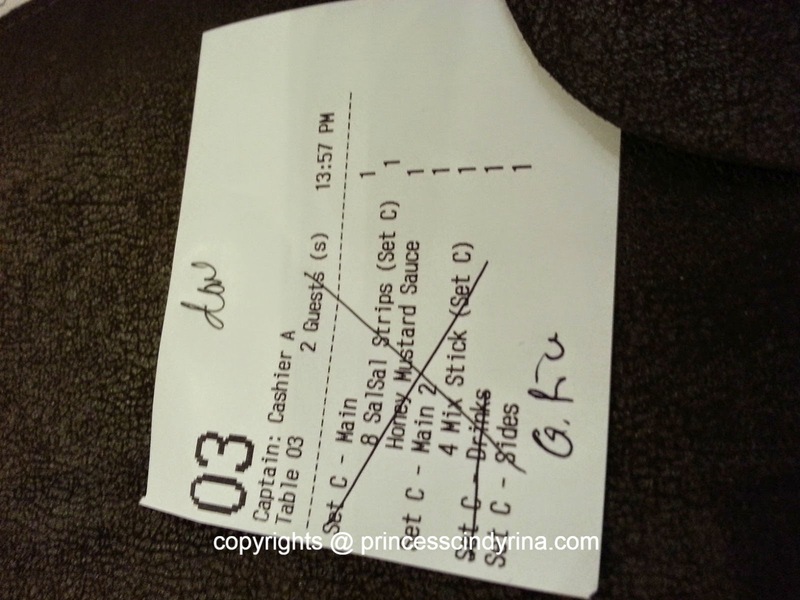 We ordered Set C cost RM56.90 for 2 pax. What you get from Set C? 1. 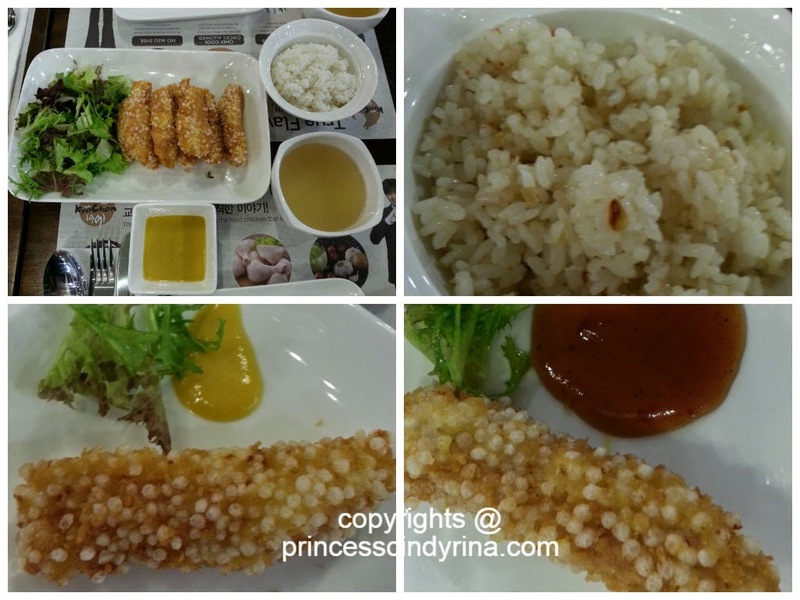 8 Sal Sal chicken strips coated with special rice batter. You have choices of sauces and we chose Honey Mustard and Jambalaya (sweet and spicy BBQ sauce) I love the Jambalaya sauce. The crispiness of the Sal Sal chicken strips is something you can never forget. 2. 2 bowls of Korean rice. We upgraded one of the rice with Garlic rice-additional RM2 required. I am glad this time they really served us with Korean hot delicious rice. Can't get enough of the rice. So loving it! 3. 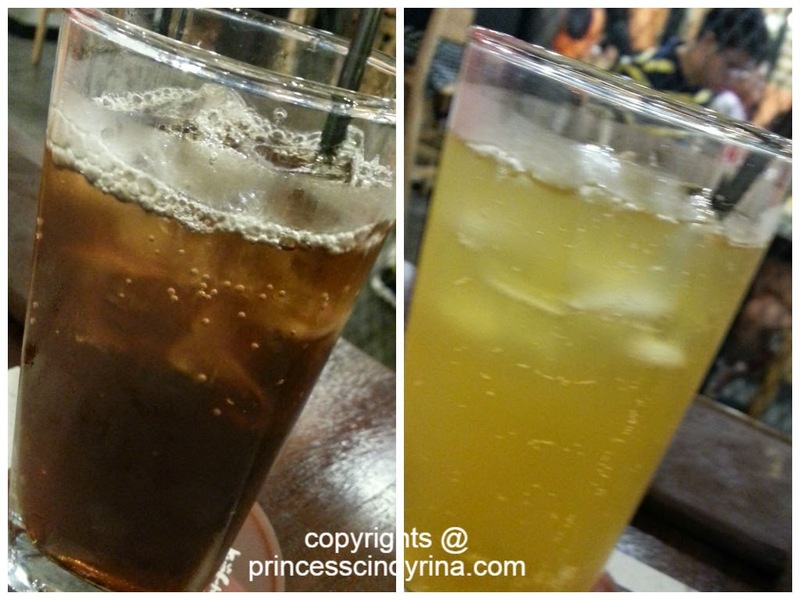 2 drinks which we chose Yuza and Plum. 4. 4 drumstick and we ordered mixed flavors. Chingu love the original favor and me love the spicy flavor. I love the after taste spiciness. I am glad that this time the waiter make an effort to inform us they need at least 20 minutes to serve us the fresh fried chicken. At least I am expecting to wait for my meal rather than keep me waiting without telling me what is going on. The only let down the waiter does not note down on our choice of sauces for the Sal Sal strips. He promised to give us Honey Mustard and Jambalaya but we have to make another request to other waiter for our Jambalaya sauce. The waiters at Kyochon keyed our order into an apps in the smartphone which link to the kitchen but I guess the apps does not have any flexibility to key in extra note to it. This is something Kyochon need to pay attention with. Imagine if customer request for drink with less ice or no ice? The one who took the order is not the one who deliver the order. So here we go the customer need to remind the other waiter on the request again or end up with a miscommunication between customer and waiters. Even the Korean tourist who sat behind me have problem with their orders . 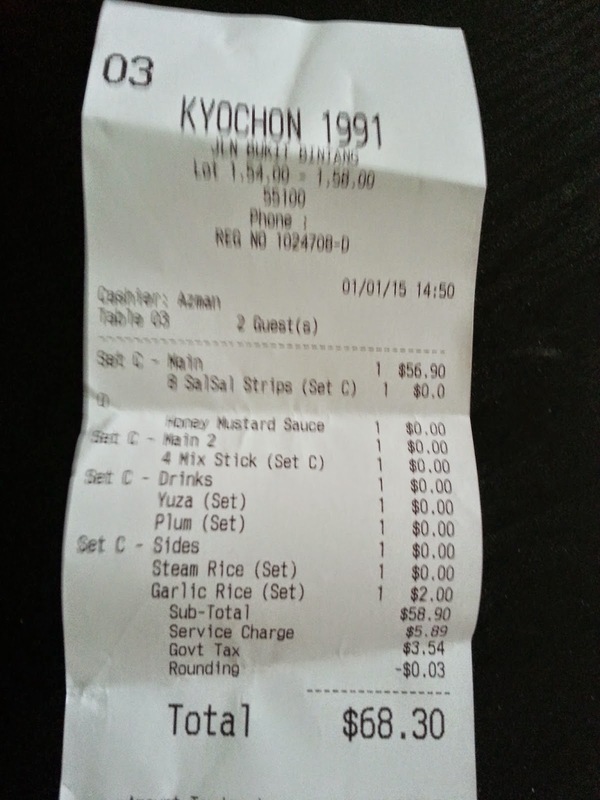 Total cost for our 1st Jan 2015 meal at Kyochon , Pavillion KL is RM68.30. Overall , I will visit Kyochon again because I totally love their hot korean rice and fried chicken. I am glad that Kyochon improving ever since my last visit. Oh, did I mentioned that Kyochon , Malaysia serve Halal Chicken? You know what , the waitress who gave us the bill presented me with this postcard with note I can get Lee Min Ho autograph on it if he come to Malaysia. Adoooooiii Mak!!!! if I happen to have chance meeting Lee Min Ho, why I need a postcard for his autograph????? I would happily ask him to autograph on my heart. WTH!!!! Face palm again...digging the hole to hide my head to the ground for embarrassment! Snap out, Rina! Min Ho ya!!!!! I guess you just need to accept the fact you are Oppa to most Ajumma in this world. Totally crazy Korean Drama influence! Seem not bad, but not my taste. I dun like Korean Food, might have a try, normally the first and the last. 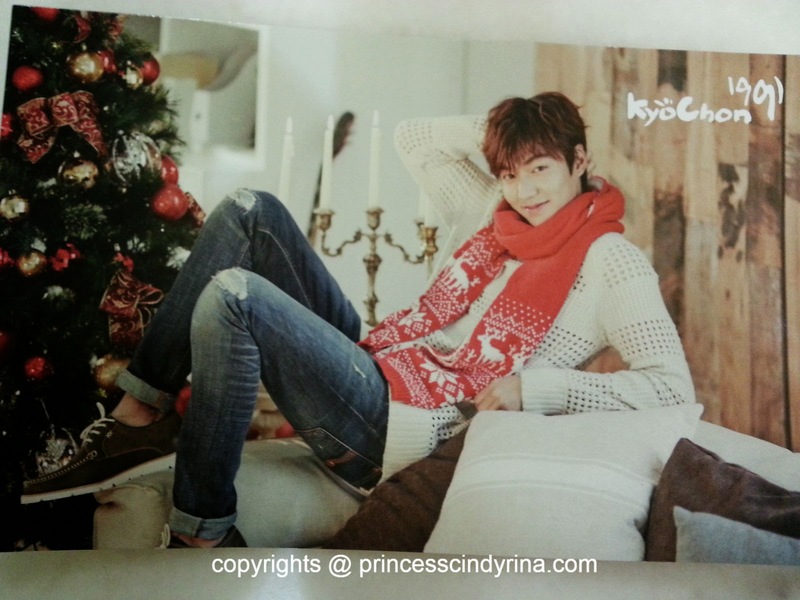 OMG, you're teasing us with your Lee Min Ho postcard! He's too cute! So sad I failed to catch him during his recent tip to SG..... Ok, ok, I wanna try the Korean Wings! Hahaha!